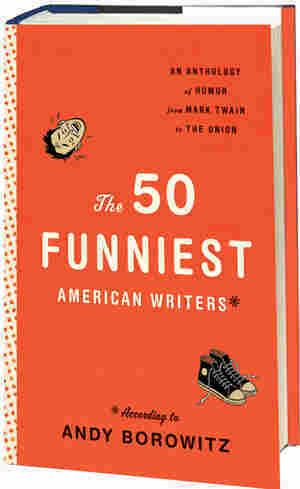 The 50 Funniest American Writers NPR coverage of The 50 Funniest American Writers: An Anthology of Humor from Mark Twain to the Onion by Andy Borowitz. News, author interviews, critics' picks and more. 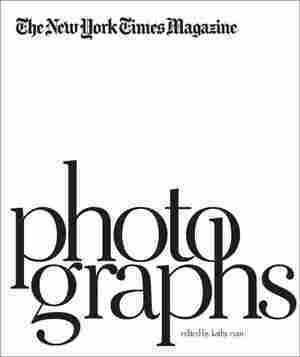 This comedy anthology incorporates classic works by such masters as Mark Twain, Garrison Keillor and Dave Barry with lesser-known pieces from leading political magazines and websites. Mark Twain, "A Presidential Candidate"
I have pretty much made up my mind to run for President. What the country wants is a candidate who cannot be injured by investigation of his past history, so that the enemies of the party will be unable to rake up anything against him that nobody ever heard of before. If you know the worst about a candidate, to begin with, every attempt to spring things on him will be checkmated. Now I am going to enter the field with an open record. I am going to own up in advance to all the wickedness I have done, and if any Congressional committee is disposed to prowl around my biography in the hope of discovering any dark and deadly deed that I have secreted, why—let it prowl. In the first place, I admit that I treed a rheumatic grandfather of mine in the winter of 1850. He was old and inexpert in climbing trees, but with the heartless brutality that is characteristic of me I ran him out of the front door in his nightshirt at the point of a shotgun, and caused him to bowl up a maple tree, where he remained all night, while I emptied shot into his legs. I did this because he snored. I will do it again if I ever have another grandfather. I am as inhuman now as I was in 1850. I candidly acknowledge that I ran away at the battle of Gettysburg. My friends have tried to smooth over this fact by asserting that I did so for the purpose of imitating Washington, who went into the woods at Valley Forge for the purpose of saying his prayers. It was a miserable subterfuge. I struck out in a straight line for the Tropic of Cancer because I was scared. I wanted my country saved, but I preferred to have somebody else save it. I entertain that preference yet. If the bubble reputation can be obtained only at the cannon's mouth, I am willing to go there for it, provided the cannon is empty. If it is loaded my immortal and inflexible purpose is to get over the fence and go home. My invariable practice in war has been to bring out of every fight two-thirds more men than when I went in. This seems to me to be Napoleonic in its grandeur. I admit also that I am not a friend of the poor man. I regard the poor man, in his present condition, as so much wasted raw material. Cut up and properly canned, he might be made useful to fatten the natives of the cannibal islands and to improve our export trade with that region. I shall recommend legislation upon the subject in my first message. My campaign cry will be: "Desiccate the poor workingman; stuff him into sausages." These are about the worst parts of my record. On them I come before the country. If my country don't want me, I will go back again. But I recommend myself as a safe man—a man who starts from the basis of total depravity and proposes to be fiendish to the last. Mark Twain's "A Presidential Candidate," from The 50 Funniest American Writers*: An Anthology of Humor from Mark Twain to The Onion *According to Andy Borowitz (The Library of America, 2011). Used with permission.